We’ve had the chance to talk to Amy Lynch, 32, a Canadian expat who has been to the UK with her family. Ms Lynch, who has been living there for 2 years is now back in Canada and works as a writer and founder. Read more about her experiences in the full interview below. A: I grew up on a small dairy farm in Eastern Ontario, Canada. The New York State border is 30 minutes south and our rural town is between the Canadian cities of Ottawa and Montreal. Q: What made you move out of Canada? A: I have always wanted to travel and when I was younger, I would daydream of moving to New York City. I wanted to live in a big city, in my own apartment and have adventures. As I got older, I loved visiting places near the ocean with my family. When the opportunity to study abroad in Australia came up in my early 20s, I decided that was my chance to do something different. It took me three years after I finished college in Canada to save up to complete my Bachelor of Communications in Brisbane, Australia, where I planned to do a year of study and if I liked it, stay on for another year under the Working Holiday Visa program. Before I made the move, I met an Irish man who had been living in Ottawa on a similar Working Holiday program, who also planned to move to Australia that summer. We both moved to Brisbane separately in July 2010, fell in love and ended up staying for almost four years! While we were there, I finished my Degree, worked on marketing communications contracts for different companies, made local and expat friends and had an incredible experience. We travelled around, hosted family and friends who wanted to visit Australia and were married in Galway, Ireland before relocating to Europe in late 2013. We initially chose Ireland to be closer to both of our families and then moved to London for a taste of the big city life, work opportunities and catching up with our friends who had also moved there. We lived in the Borough of Camden in London for two years, rented an apartment and created our own adventures. So I guess I ended up living my New York dream with my husband in both Australia and Europe! The biggest adventure yet was being pregnant as an expat, having our baby boy in London in 2016 and navigating one of the busiest cities in the world as a new mum. Closely followed by the experience of applying from the UK for Canadian Permanent Residency for my husband, Canadian Citizenship for my son and the process of planning to relocate from Europe back to my home country with a new husband and baby in tow. A: In March 2017, we relocated to Ottawa, Canada and began to get set up here – I am no longer an expat but now a repat who has brought my Irish Canadian family with me. We chose to move to Canada as it’s where I am from, my husband has experience working here, it’s safe, economically stable and has positive opportunities for us as professionals and as a growing family. Q: How long have you been living in England? A: Since March 2015 until March 2017. A: I live with my husband, our toddler son and we are expecting another baby boy this summer. My husband has lived as an expat since 2009, after relocating from Ireland to Canada and then Australia. We spent 15 months in Ireland in 2014-15, so he was in his home country for a while before we moved to England. Our son is too young to know what it means to be an Irish and Canadian Citizen, born in England but without UK Citizenship. He is the only one in our family with a UK Birth Certificate and holds both Irish and Canadian Passports, so he already has more freedom of movement rights than we do! Since my husband and I met in 2010, at least one of us has always required a visa or work permit to live in the same country – if not both of us! As an international couple, one of us is always going to be an ‘Expat’ until we have the same passport and citizenship. Wherever we have lived, we’ve tried to integrate with the local community and make friends. It takes a lot of effort and persistence but if you’re an open person and you seek out activities where you can meet others with similar interests, it helps. A: We have recently purchased our first home in Ottawa, so that is ‘home’ to us now but we do miss our family and friends in Ireland and England and all of the friends and connections we have made in Australia and along the way as we travelled to different countries. We make sure to always have Irish Breakfast Tea (Barry’s) in the house and have recently visited a store in Ottawa that stocks a lot of the sweets and dry goods you can only find in Ireland or England. We plan to ensure our children have authentic experiences in Ireland and England with their relatives but as they are young at the moment, we have yet to see how that will unfold. A: While we were living in London, the ‘locals’ we mixed with were a combination of Expats like myself, Irish Nationals who have EU freedom of movement rights in the UK, English people who have moved to the big city of London from other areas of the country and some Camden Borough ‘locals’ who had lived there as long as they could remember. London attracts so many different nationalities and cultures – people hoping for a new beginning, a change of pace, moving for a new job opportunity, a notable education, an adventure or simply to blend in with a crowd of others who won’t bother them because they’re too busy going about their own lives. It’s an intoxicating mix of arts, culture, architecture, food, sport, people, traffic, noise, news, business, politics and does really feel like you’re at the centre of it all at times. Q: Was it easy making friends and meeting people? Do you mainly socialise with other expats in England? How did you manage to find a social circle there? A: We had a ready-made social circle as some Australian friends had moved there, we have some family living in London and they introduced us to their connections as we visited the city and once we moved. When my husband started working and playing football, he met more locals. 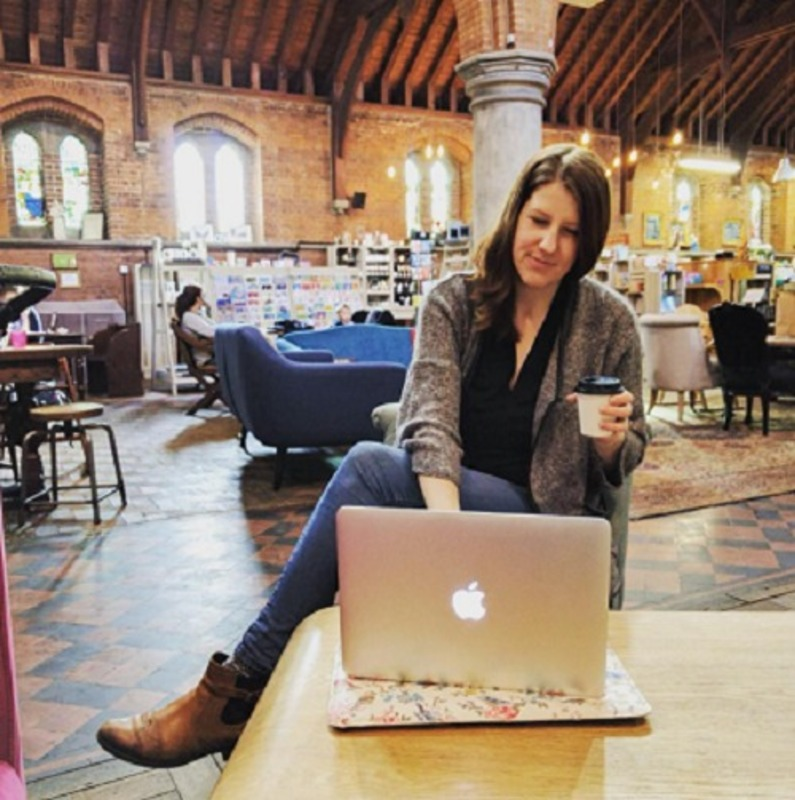 I worked remotely and attended networking events in the city but it wasn’t until I was pregnant with our son and later at home with him that I met a great group of other mums through my prenatal and postnatal classes and through participating in the Google Campus London program Campus for Mums. I also joined a local watercolour class at my community centre and met some interesting aspiring (and practicing) artists through that. Q: How does the cost of living in England compared to your home? A: £2.00 – £2.50 for a flat white or latte, less for an Americano. A: We could both eat a meal at Nando’s for under £25-30, less at other fast food chains. At a pub, a proper Sunday Roast and drinks will run you around £50 for two people. A: Anywhere from £100+ if you’re doing three courses and drinks. A: Anywhere from £5-10 and up for wine and I have no idea about cigarettes because I quit smoking before moving to Europe – even though plenty of people still smoke in public there! Q: Do you have any tips for future expats when it comes to opening a bank account in England? A: Ensure you have a valid address in order to sign up for an account – they will ask for a record of that. We used a friend’s address until we found an apartment. It’s definitely a chicken and egg scenario – property agents will want a valid bank account for deposit and reference checking but you need a valid address to set up a bank account. Unless times have changed in the last year, it is helpful to organize a temporary address to deal with those logistical issues before you land. A: I was in a bit of a grey area in that I am the spouse of an EU National so I could enter the country on a six-month temporary visa and then stay. However, once you leave and the visa has expired, it is difficult to re-enter. You can keep renewing a temporary visa but in order to do so, you need to be outside of the country as opposed to in the UK. So I ended up applying for multiple temporary visas from Ireland and Canada and eventually when we decided to officially move to London and stay there for a while, I began the process of applying for a Spouse of an EU National Residency card. While we were living there, the Brexit vote happened and a lot of things were up in the air, but as my husband is an Irish Citizen, they have different freedom of movement rights within the UK due to the Good Friday Agreement. So all in all, information can be found online and they have a lot of digital Government resources. However, it can be quite restrictive at times as for me the applying for temporary visas had to be done through third party agencies outside of the country, which involved my passport being sent off to either New York or London and then sent back to Canada or Ireland with an embossed stamp. Once I received my Spouse of an EU National Residency card, I no longer had to worry about the six-month timeframe but was still always thoroughly questioned at the border, especially if my husband wasn’t with me. I can’t tell you why things are the way they are, but I know with our Australian, Canadian and Irish immigration applications we were able to complete them either from outside the country before we moved there or update them from within the country while we resided there. Q: Would you say that healthcare England reliable? Any preferred clinics or advice for expats? A: I gave birth to our son using the public NHS and we used a combination of midwives and medical clinics for both prenatal and postnatal care. We also used local support services for regular health checks, play groups and infant education. I think it is an amazing system for serving such a large city, country and varied demographic of patients. You have the option to pay for private care but we could always get appointments when we needed them using the public system and were very happy especially with our midwifery care. Expats should know going into a city like London that the hospital, clinic and waiting room environments are very busy compared to the cities we came from because the population they are serving is so large. But in terms of medical research and access to care, it’s a great city to live in. Q: Did you secure a health insurance in your home or host country? What should be the essentials in the coverage for expats, in your opinion? A: I always have travel insurance for initial moves but once I had my Spouse of an EU National documents I was eligible for the public system and had the same rights as my husband. Q: What was the most memorable about the packing and moving process to England? Which was the mover you chose and how was your experience with them? A: The mover we chose was…ourselves! We had been living out of suitcases for years, didn’t bring any furniture and used British Airways and Aer Lingus to bring our cases over with us on multiple trips between Ireland and England. And when I say ‘we’ I mean my husband. He was a trooper and was working between the two countries at the start so when we went back to Ireland he’d always bring more luggage to London when he returned. I would say one of the most memorable experiences of moving to London at the start was sleeping on our friends floor on an inflatable mattress in their two-bedroom apartment, with our suitcases lined up around us for weeks until we could officially move into a flat of our own. There were a lot of stairs both at some of the tube stations and at both our friends (multiple flights) and our new apartment (55 steps to be exact). A: The conflicting feelings of being free, independent and embarking on a new adventure, while undergoing the restrictions of maybe not being able to drive straight away, make purchases using a local bank account in the new currency, being dependent on others to stay or store things with them until you get on your feet in a new country. It’s a weird mix of freedom and constraint! Q: What do you think are the positive and negative sides of living in England? A: The best thing about London is having it all at your fingertips! You could be shopping on the high street in the morning, have a picnic lunch in the park, walk around Westminister, catch a show in West End and have dinner and a night out in Soho, all in the one day. Or you could just people watch - you will never be bored! It is a really easy city to walk around and the transit options are great. Some negatives in large cities like London are a lack of housing, crowded public transportation and crime rates can be considered issues compared to small towns. But the diversity of the population, the frequency of the public transit, and the presence of authorities appears to be pretty high in urban areas, close to the city centre. Anywhere you choose to live will have negative qualities, it's whether the positives outweigh those negatives, how you react to them, and what you're willing to accept. A: The list is endless! I always referred to Time Out London or the London Evening Standard for what was happening each day or week. I have been walking in Hampstead Heath, Regent's Park, and Hyde Park and I think they are all beautiful. Coming from a small town but wanting to live in a big city, I find I always seek out river walks, beaches and green spaces for a break from all of the noise and people. All of those parks make you feel like you've been transported out of the chaos. If I'm shopping on Oxford Street, Borough Market or having a look around Southbank one day, then I will spend a few hours in a relaxing place to take a break. A: We have already made and completed the plans to move back ‘home’ for me and to a different country for my husband (from Ireland) and son (born in England) as we are now celebrating our first year living in Canada together. A: Get out of your house/flat/hostel/hotel! Explore new places, meet different people, try new things and don’t get stuck replicating the same kind of life you could be living at ‘home’. Bring good walking shoes and a positive, confident attitude. Q: Do you have favourite websites or blogs about England? A: http://www.prettylittlelondon.com/ for inspiration, https://www.timeout.com/london for events and I have a blog about expat life and remote work https://notesfromanotherland.com/.